The due process hearing in this matter proceeded on April 16 and 17, 2013, in Poway, California, before Administrative Law Judge (ALJ) Clifford H. Woosley, from the Office of Administrative Hearings (OAH), State of California. Attorney Marcy Tiffany, with special education advocate Amy G. Langerman, appeared on behalf of Student. Student’s Mother was present throughout the hearing. Attorney Sundee M. Johnson, of Atkinson, Andelson, Loya, Ruud & Romo, P.C., appeared on behalf of Poway Unified School District (District). Special Education Director, Melanie Brown, attended the hearing for District. On October 5, 2012, District filed a Request for Due Process (OAH no 2012100261), naming Student. On February 20, 2013, Student filed a Request for Due Process Hearing (OAH no. 2013020661), naming District. On February 20, 2013, Student filed a Motion to Consolidate the cases, which OAH granted on February 26, 2013. On April 17, 2013, at the close of hearing, the matter was continued to May 10, 2013, for the parties to file written closing arguments. On May 10, 2013, upon receipt of the written closing arguments, the record was closed and the matter submitted. 1 At the commencement of the hearing, the parties agreed that these two issues reflected the disputes raised by both complaints. 1. District’s issue: May the District assess Student in the area of cognitive ability, using the Kaufman Assessment Battery for Children – Second Edition (KABC-II), as part of Student’s triennial assessment? 2. Student’s issue: Did the District fail to assess Student in all suspected areas of disability or need by refusing to assess Student in the area of auditory processing? 1. Student is a ten-year-old, fourth grade boy attending District’s Stone Ranch Elementary School (Stone Ranch) and is eligible for special education placement and related services as a student with autistic-like behaviors. Student’s primary language is English. At home, the family speaks both English and Chinese (Mandarin). He attends Chinese school each weekend. He is identified as an English language learner and his proficiency has been assessed each year since first grade, using the California English Language Development Test (CELDT). Student’s most recent scores were at the intermediate level overall. 2. District’s preschool assessment team initially assessed and found Student eligible in January 2007. The District utilized a number of standardized instruments, including the Wechsler Preschool and Primary Scale of Intelligence -Third Edition (WPPSI-III), a standardized cognitive instrument. Student received a performance score in the low average to average range. 4. Ms. Schellenberg reviewed Student’s records, observed Student in his classroom, and had Mother and Student’s teacher complete the Scales of Independent Behavior–Revised (SIB-R) and the Gilliam Autism Rating Scale–2nd Edition (GARS-2). She also administered the Kaufman Assessment Battery for Children– 2nd Edition (KABC-II) when Student was four years, 11 months old and made clinical observations of Student during testing. Student’s standard scores for global scales in Sequential, Simultaneous, Learning, Knowledge, Mental Composite/Fluid-Crystalized Index (FCI), and Nonverbal Index (NVI) were all average to high average. Ms. Schellenberg concluded that Student’s intellectual ability was in the average range. 2 Other than the Student’s issue regarding District’s recent alleged procedural violation of not conducting auditory processing assessments , this matter does not concern whether Student has received, or is presently receiving, a free appropriate public education (FAPE) in the LRE. Consequently, this decision does not include detailed factual findings regarding past IEP’s, placement, and related services, which are unrelated to the two issues herein. 6. For the school year 2009-2010, Student was in first grade and attended special education teacher Melanie Fink’s autism spectrum disorder spectrum (ASD) class at District’s Turtleback Elementary School. He received speech and language (SAL) services and occupational therapy (OT). Student was mainstreamed for about two hours a day into a first grade general education classroom for some academic instruction, supported by an instructional assistant (IA) from the ASD classroom. 7. In early 2010, District personnel assessed Student in preparation for his first triennial IEP. SAL pathologist Deborah Albritain administered the Comprehensive Assessment of Spoken Language (CASL), the Receptive One Word Picture Vocabulary Test, and the Expressive One Word Picture Vocabulary Test. She had Student complete informal language samples. Mother and Student’s teacher filled out the Pragmatic Skills Checklist. Ms. Albritain concluded that Student’s strengths were in receptive and expressive vocabulary. His areas of need for improved communication abilities were in syntax/grammar and pragmatic language skills. She suggested new IEP goals be presented and agreed-upon at the IEP team meeting. 8. Occupational therapist, Jan Dalby, conducted a thorough OT evaluation, issuing a February 8, 2012 report. She confirmed that Student continued to need OT, which assisted him with sensory/emotional regulation related to his attention and focus. OT also helped control his pace and excitability, as well as assisted him in asserting appropriate personal space boundaries. 9. District school psychologist Diedre Hayes prepared a February 11, 2010 triennial psychoeducational report. She utilized the following tests and procedures: KABC-II; Wide Range Assessment of Memory and Learning (WRAML); Achenbach Child Behavior Checklist (CBCL), Teacher and Parent Rating Scales; Childhood Autism Rating Scales (CARS), Teacher and Parent; and the SIB-R. Ms. Hayes utilized the results of the Diagnostic Achievement Battery, Third Edition (DAB-3), administered to Student by his ASD teacher. Ms. Hayes also reviewed Student’s records and clinically observed him during testing. The District school psychological intern, Michelle Bulat, observed Student in his general education class, where he was genuinely liked by fellow students and participated in leading class exercises. Student would become distracted during instruction, let his eyes and attention wander, which required prompting from his aide to turn and face the teacher. 10. Ms. Hayes reported the results of the KABC-II. Student’s standard scores for Sequential, Simultaneous, Learning, Planning, and Knowledge scale indexes were all in the low average to average range. However, two subtests were in the far below average range: Rover, with a scaled score of “2,” which was part of the Simultaneous scale index, and Riddles, with a scaled score of “3,” which was included in the Knowledge index. Ms. Hayes reported an FCI of 82 and a NVI of 95. She did not report the Mental Processing Index (MPI). She stated the KABC-II yielded mixed results, indicating that Student’s performance levels were from below average to average range. 11. Ms. Hayes also reviewed the WRAML-2 results. The WRAML-2 was a measure of Student’s ability to actively learn and memorize a variety of information. She noted that language concepts appear to interfere the most with his learning, while visual and nonverbal formats enhanced his ability to perform tasks. She concluded Student’s auditory processing deficits manifested on short-term auditory memory as well as long-term memory. Student had difficulty retaining information, mentally manipulating that information, and retelling it. According to Student’s teacher and his language scores, his comprehension of inferential abstraction (nonvisual) was limited. 12. In summarizing the behavior scales, Ms. Hayes reported that the teachers did not indicate any borderline or clinical levels in any measured area. Student’s Parents’ scales indicated only that Student had withdrawn behavior and, according to Father, was in the borderline range. Student’s ASD teacher reported that Student was somewhat above grade level in reading decoding, at grade level in math and writing conventions, and somewhat below grade level in reading comprehension and writing content. Student repeated words and phrases (echolalic), hoarded paper, touched others without their permission at times, and picked his nose. She described Student as sweet and cooperative. Student was a compliant, friendly child who could perform in regular education with support. His language deficits affected his social progress, but he was well liked. 13. Ms. Hayes opined that environmental factors such as culture, ethnicity and economic status did not appear to affect Student’s test results. However, auditory processing deficits may have impacted his scores in cognitive ability and his scores should be interpreted with caution. She noted that Student had significant language impairments and lacked confidence. His auditory memory was weak, as well as his auditory processing of information. An essential learning processing deficit appeared to exist when information required integration and reorganization cognitively (auditory memory, spoken language skills). Therefore, Ms. Hayes emphasized that the scores obtained were considered to be an estimate of Student’s ability. 14. Ms. Hayes affirmed eligibility as a student with Autism. In her recommendations, she stressed that Student was a strong visual learner and that oral instructions should be visually supported. She determined that Student continued to need special education ASD supports and services and that the IEP team should determine the extent to which Student’s instructional needs could be met with the general education program. 15. For the school year 2010-11, Student was in second grade and continued in Ms. Fink’s ASD class at Turtleback. He received SAL and OT services. Student was mainstreamed in general education supported by an IA from the ASD classroom. 16. Ms. Fink’s ASD class only went to second grade. Therefore, in Spring 2011, the IEP team met to discuss a new placement for third grade, the 2011-2012 school year. At that time, Mother retained the services of special education advocate Amy C. Langerman because she was concerned with the District’s proposed placement. Ms. Langerman testified at the hearing. 3 Her curriculum vitae (CV) was admitted into evidence. 17. Ms. Langerman is an attorney, licensed in Arizona. She is not a member of the California state bar. She has a professional corporation in her name, located in Coronado, California, where she had a private practice since October 2002. In Arizona, she practiced as an attorney and a special education advocate. In California, where she resided at the time of the hearing, she worked as a special education advocate. She did not practice law in California, though she occasionally practiced in Arizona. 3 Student’s counsel requested that Ms. Langerman testify at hearing, even though Ms. Tiffany had retained Ms. Langerman to assist in the due process hearing. For example, Ms. Langerman cross-examined a witness. Ms. Tiffany and Ms. Langerman stated that Mother asked that Ms. Langerman testify in her stead, that Ms. Langerman was a member at about eight of Student’s IEP team meetings, and that Ms. Langerman had made the recommendations and drafted the communications, which were sent to District over Mother’s name and which are at the center of the due process matter. ALJ Woosley allowed the testimony, but cautioned Ms. Langerman, Student’s counsel, and Mother that Ms. Langerman’s advocacy role and the hearsay nature of some testimony would affect the weight, credibility, and persuasiveness of her testimony. 18. Ms. Langerman received her law degree from Arizona State University College of Law, in 1983. Ms. Langerman was an accomplished attorney and trial lawyer. 19. Ms. Langerman had been an Arizona certified specialist in injury and wrongful death litigation from 1991 through 2003; she relinquished the certification when more than half of her work was in special education. She does not hold any credentials or licenses, from any state, in education, special education, educational psychology, or psychology. She attended a six-hour presentation by a neuropsychologist and a psychologist about interpreting psychoeducational evaluations. She has not had any formal or specialized training in the administration and interpretation of standardized instruments. 20. The District proposed that Student be placed in a non-severely handicapped (NSH) special education class at a nearby campus. Ms. Langerman claimed she was familiar with this proposed class because she used to have a client student who attended the class for many years. Her impression of the NSH class was that it averaged about 12 students, with one teacher and two aides. There was small group instruction and the students were two to three grade levels behind. She claimed that the intelligent quotient (IQ) scores of the NSH students were between 40 and 85; yet provided no corroborating information about how or why she knew the IQ scores of the other students. The NHS students were not on a state curriculum which was followed by the general education classrooms. Ms. Langerman concluded that the NSH class was inappropriate and, on behalf of Mother, objected to the proposed placement. Ms. Langerman had seen the NSH class three times, the last of which was three years prior to hearing. She had not seen the class in 2011, and did not have direct knowledge of the type of students in the NHS class at the time she turned down the placement offer on Mother’s behalf. 21. At the time of District’s placement recommendation, Student was receiving a general education curriculum in his ASD self–contained class. According to Ms. Langerman, Turtleback had two types of ASD classes. One was primarily functional and developmental. The other, which Student attended, was on the general education curriculum with integrated methodologies, such as applied behavioral analysis (ABA), sensory support, and teachers trained in autism methodologies. 22. Ms. Langerman proposed that Student be placed in the Poway Academy of Learning (PAL) class. PAL was available to elementary, middle, and high school students, if placed by their IEP’s. She recommended the PAL class because the IEP team’s description, as well as her observations, indicated that Student was exposed to and was working with grade level general education curriculum, had difficulties with reading comprehension, and possessed an average or better than average cognitive ability. The PAL class was self-contained, for children with average to above average cognitive ability, provided the state approved general education curriculum, and was within a general education environment. The PAL class had about 12 students, a teacher, and two to three adult aides. Ms. Langerman believed that Student had difficulties in large groups when information was being presented auditorily. She concluded that Student would do much better in a small class or with one-on-one instruction. For example, in the ASD class, Student was being taught one-on-one because he was the only second-grader. 4 The only evidence at hearing regarding these IEP team discussions about Student’s third grade change of placement was Ms. Langerman’s testimony; neither party submitted the IEP documents. Since placement is not an issue, the accuracy of Ms. Langerman’s testimony regarding District’s motivations is not crucial. However, the testimony is relevant to Ms. Langerman’s and Mother’s opposition to cognitive testing for Student. 24. Since Ms. Langerman and Mother objected to the NSH class, District offered an alternative placement in a general education classroom, with a one-on-one IA and resource special program (RSP) pullout for specialized academic instruction (SAI). After further IEP meetings, District and Student completed the team process of drafting the IEP. All parties signed the IEP and the IEP was implemented. Both the District and the Student agreed Student was receiving a FAPE and, further, stipulated at hearing that this IEP provided a FAPE. 25. For the school year 2011-12, Student was in a general education third grade class at Stone Ranch. He received SAL and OT services. A full-time, one-on-one IA supported Student in the general education settings. He had regular RSP pullout for SAI. strongly argued that Student would have “absolutely” and “unequivocally” done better in the PAL program, with its small group environment. She felt Student struggled in the area of reading, falling behind, and writing, except when one-to-one, because Student did not demonstrate his abilities in a large group. 27. This was the reason Ms. Langerman strongly initially advocated for PAL, with its small group instruction model. Ms. Langerman did not want Student to become dependent on an aide, which she believed was the only way the Student could be successful in the general education classroom. Therefore, she continued to advocate for the PAL program, perhaps with a supplemental reading program. 28. The next annual IEP took place over three team meetings on October 27, 2011, November 29, 2011, and January 11, 2012. At the first meeting, the IEP team reviewed Student’s progress on his goals, agreeing to carefully monitor his social referencing over the next year. Student was also having some difficulty employing a sensory strategy to increase attention, and was unable to independently recognize when he needed a sensory break. The team agreed to use an editing checklist to support a new goal in this regard. 29. The team discussed that Student was observed to be dependent on the IA to prompt him through each activity. He made partial progress on his independence goal and the team brainstormed strategies to support Student, using alternative supports instead of the IA when he needed affirmation, and further agreed to develop a new goal to address these concerns. The team reviewed present levels of performance and need in reading, writing, communication, social emotional development, and behavior. 30. The team then focused on reviewing and modifying Student’s goals. They discussed OT and whether Student needed supplemental aids in the OT area, such as fidget tools and toys, which are a form of sensory diet used by a student to calm and focus, enabling self-regulation. The meeting concluded with the understanding that Student’s teacher and Ms. Langerman would exchange specific goal language by email, until agreement, so they could be adopted and implemented. Ms. Langerman had an agreement with the District that as soon as the IEP team agreed upon a goal, it could be implemented, even though the IEP had not yet been finalized and signed. 31. In the second meeting, the team reviewed and agreed upon the proposed goals. The team decided that Student would take the California state tests (CST) unmodified, with accommodations, including small group and breaks as needed. Student could also access a study carrel for the CST and other testing. The team discussed various supplemental aids such as scribe support, administration of sensory strategies, additional processing time, breaks as needed, visual supports, reading comprehension tests, breaking down of instructions, Circle of Friends social skills participation, academic strategies, and others. 32. The program specialist explained the continuum of placement options to the team, including general education with support, as well as SDC programs and nonpublic school. Having observed the PAL special day class, Ms. Langerman explained that she and Mother felt PAL would be the best placement for Student because of the small group environment, where Student could learn how to learn in a group. At the time, Student was receiving the majority of instruction from his one-to-one IA in order to access his general education. Ms. Langerman and Mother requested special circumstances instructional assistance (SCIA) support for transition to the PAL class. 33. The District staff expressed its view that Student required substantial support for understanding classroom assignments and needed the one-to-one support to break tasks down and to clarify and support understanding. The principal reviewed assessment results from a variety of sources that, from the District’s point of view, indicated that Student was behind grade level in reading and language arts. Accordingly, at that time, because Student was not on grade level in reading and language arts, the PAL class would not be appropriate placement. The District team members again proposed that Mother consider the NSH program, with an opportunity for Student to access grade level math instruction while providing specialized instruction for reading and language arts. Parent and Ms. Langerman disagreed and would not consider placement in the NSH class because of its low instructional level. The District members, Ms. Langerman, and Mother agreed to reconvene the IEP team meeting. The District team would invite a representative of the PAL program to the next IEP team meeting in order to ask more specific questions about how Student’s reading and language arts needs could be met in PAL. Ms. Langerman indicated that Mother might be willing to consider a dual enrollment in NSH class and PAL class. The team would consider the request at the next IEP meeting. 34. The final IEP team meeting for the January 2012 annual IEP took place on January 11, 2012. Ms. Langerman had observed Student in the general education classroom and his RSP. She described Student’s “learned helplessness,” as a result of his current RSP general education class with IA support. She reported that her observations of Student’s participation in a higher-level comprehension question and answer exercise confirmed her view that Student had the ability to comprehend and understand. Ms. Langerman told the team that she felt Student needed a placement that was in between general education and RSP. This, she contended, was the PAL program. 35. The principal reported her observations, some of which were with Ms. Langerman. She told the team that Student required significant assistance to initiate and engage with the learning tasks. He followed general classroom routines and tried to participate. However, the overall impression was that Student was clearly not functioning and learning at grade level standards. The program specialist for the PAL program, Jill Gonzales, had also observed Student in the general education class. She noted that Student required maximum prompting by an adult to engage, participate, and complete tasks. The classroom teacher reported that Student was functioning below grade level. The PAL program specialist explained that the components and instructional methods used in PAL have the students performing at grade level, but in small group instruction using grade level general education curriculum. Therefore, she did not believe that PAL was appropriate for Student. 36. Ms. Langerman proposed placing Student in the PAL program with blending into NSH for reading and language arts. The District team members disagreed and felt that math was the only subject area that Student was on grade level. Therefore, it would be more appropriate to have a placement in NSH with mainstreaming for math. 37. The team also considered continuing Student’s current general education placement, with RSP support. Both the District team members and Mother felt Student needed to become more independent, and less dependent on the IA. Eventually, the District team members and Mother agreed that placement would continue in general education and, further, agreed to renew the goal targeting independence. 38. For the school year 2012-13, Student was in a general education fourth grade class at Stone Ranch. He received SAL and OT services. A full-time, one-on-one IA supported Student in the general education settings. He had regular RSP pullout for SAI. 39. District school psychologist Laura Jean Hulsey assisted in developing an Evaluation Plan for the next triennial IEP of November 2012. She testified at the hearing. She had been a school psychologist for 18 years and with the District for the past 16 years. As District school psychologist, Ms. Hulsey provided comprehensive assessments, attended intervention team meetings, consulted with teachers, and collaborated with various team members, such as occupational therapists, physical therapists, speech and language pathologist, and special education resource teachers. She provided counseling to special education students as a related service, attended IEP meetings, consulted with behaviorists, helped devise behavior support plans, and conducted functional analysis assessments. 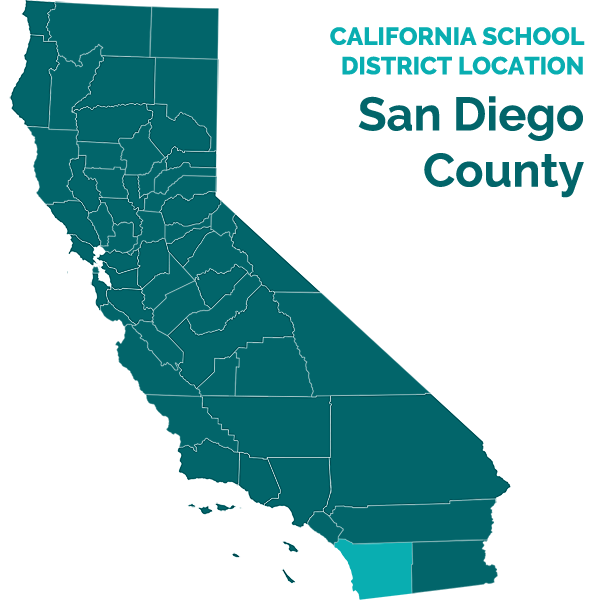 At the time of her testimony, Ms. Hulsey serviced two District school sites – Stone Ranch and Los Penasquitos Elementary School. 40. Ms. Hulsey received a bachelor’s degree in health science in 1984 and a master’s degree in counseling in 1994, both from San Diego State University. With her master’s, she received her pupil personnel services (PPS) credential in school psychology, which authorizes her to conduct assessments and service students. Ms. Hulsey is a California licensed educational psychologist. 41. During almost two decades of experience, Ms. Hulsey worked with well over a hundred children on the autism scale. She participated in multiple trainings over the years regarding evaluating autistic children, such as specifically targeting social cognitive deficits, which included ASD students. Ms. Hulsey had long been trained on administering and interpreting the Autism Diagnostic Observation Schedule (ADOS), including more recent training with the advent of the second edition (ADOS-2). She administered the Kaufman Assessment Battery for Children (KABC) more than 200 times. When the second edition (KABC-II) was issued, Ms. Hulsey attended additional training by the California Association of School Psychologists (CASP). Ms. Hulsey’s education, training, and experience qualified her to knowledgeably testify as an expert regarding assessment of children with ASD. She remained calm and focused, even when challenged during cross-examination. 42. The District Evaluation Plan was forwarded to Mother in September 2012, requesting that she provide consent for assessment in academic achievement (RSP), motor development (OT), language and speech communication development (SAL pathologist), processing, intellectual development, and social/emotional/adaptive behavioral (all by school psychologist). 43. In response, Ms. Langerman requested a listing of the instruments District intended to use in the assessment process. Ms. Hulsey testified that she typically did not include a list of the assessment tools in the evaluation plan so that she had the flexibility to choose the instruments needed, based upon how the assessment progressed. Ms. Hulsey’s role as the school psychologist was to determine the appropriate instruments for assessment. A Student’s eligibility informs the choices of instruments, as well as the areas of suspected disability and a Student’s perceived needs. She responded that cognitive testing was not required to determine autism eligibility. Autistic children’s cognitive ability widely varies. However, Ms. Hulsey advised Ms. Langerman she strongly believed that cognitive testing provided insight into selecting Student’s educational services and supports. 44. Ms. Hulsey reviewed Student’s records and prior evaluations, including: the preschool assessment of January 2007 (preschool assessment); the December 2007 evaluation and assessment when Student was four years, 11 months (2007 assessment); and the February 2010 triennial psychoeducational report, including the assessment when Student was seven years old (2010 assessment). 45. Ms. Hulsey determined the instruments she proposed to use and, with the other assessors, provided Ms. Langerman the following list of anticipated tools: Program Specialist: Special Circumstances Instructional Assistance (SCIA) assessment. Nurse: Health History Update, Vision/Hearing Screening. Resource Specialist: Weschler Individual Achievement Test III (WIAT-III), Diagnostic Achievement Battery, Third Edition (DAB-3). Psychologist: Cognitive – KABC-II; Adaptive Behavior – SIB-R, WRAML, CBCL, GARS-2, Gilliam Asperger’s Disorder Scale (GADS). Speech Pathologist: Clinical Evaluation of Language Fundamentals – Fourth Edition (CELF-4), CASL, Social Language Development Test Elementary, Children’s Communication Checklist-2 (CCC-2). Occupational Therapist: Bruininks-Oseretsky Test of Motor Proficiency, Second Edition (BOT-2), Beery-Buktenica Developmental Test of Visual-Motor Integration, 6th Edition (Beery VMI), including subtests Visual Perception and Motor Coordination; Sensory Profile (School Companion), WOLD Sentence Copying Test, Classroom/clinical observations, Informal Teacher interviews. 47. Ms. Langerman opined at the hearing that no useful additional information would be gained by having Student take an IQ test, specifically the KABC-II for a third time. She felt that Student’s performance and any other needed information regarding his processing of information could be obtained by using other instruments, state testing, academic testing, and from Student’s records. Additionally, she felt that Mother did not want Student to be labeled with an IQ number, which would not accurately or fully reflect Student’s academic ability or potential. 48. Ms. Langerman believed that intelligence assessments were not generally appropriate for autistic children, because they typically underreport ASD students‟ academic capabilities. She contended that Student’s intelligence tests and IQ scores had harmed Student because his prior suppressed composite scores were inaccurate and lower than those needed to gain entry into the PAL class. She also contended that the KABC-II would be similarly harmful to Student in the future because the test’s composite indexes would cause the IEP team, teachers, and family members to have diminished expectations of Student’s capabilities and performance. She cited research showing the consequence of teachers‟ expectation on a Student’s performance, referred to as the “Pygmalion effect.” If a teacher believed a student had a low IQ, their performance expectations were diminished and the student would perform at that diminished level, even when more capable. 49. Ms. Langerman frankly testified that one of the reasons she wanted to prevent another KABC-II assessment of Student was to strategically assist in achieving her goal of convincing the District that Student should be placed in the PAL class. Student would be in the fifth grade for the 2013-14 school year. Therefore, Student’s next annual IEP team will be determining appropriate placement for Student as he transitions into sixth grade and middle school. She said low intelligence composite scores would weaken her ability to convince the IEP team to place Student in the PAL class for sixth grade. Without IQ scores, she could more effectively advocate for PAL placement using his academic performance and other assessments. 50. Ms. Langerman initially testified that she never allows her parent clients, with ASD students, to consent to IQ testing. She then corrected herself and said she did permit three of her ASD students to be tested. One student was about to lose ASD eligibility, so she permitted the testing for consideration of specific learning disability (SLD) eligibility. She allowed IQ testing of two other students because she wanted them to qualify for the gifted and talented education (GATE) program. Ms. Langerman’s overall credibility about the use of IQ scores was diminished by this admission that she disapproved the use of IQ scores when she perceived that it was keeping Student out of a desired program, but approved the use of IQ scores where she perceived it would benefit a particular student in obtaining a desired program. 51. Ms. Hulsey disagreed with Ms. Langerman’s assertion that there was nothing to learn about Student from the cognitive testing. Ms. Hulsey persuasively explained that KABC-II is a cognitive assessment, with a focus on the way in which one processes information and that in her experience with autistic children, there could be changes in cognitive testing over the years. 52. By letter dated October 2, 2012, District program specialist Judy Monday sent a written prior notice to Mother, regarding the request for changes to the District’s proposed assessment plan. She stated that the District would agree to administer the GORT–5 and the Grey Silent Reading Test. The District denied the request to administer the TAPS, because it believed that the proposed assessment tools were appropriate and would assess Student in all areas of suspected disability. 53. The District denied the request that a reading specialist assess Student in the area of reading. The District indicated that it would assign appropriately trained and qualified staff; it did not believe that a reading specialist needed to do the assessment. 54. The District noted that Mother did not consent to the proposed assessment in the area of cognitive ability. The District stated that cognitive ability was an area that needed to be assessed in order to determine whether Student continued to qualify for special education and related services, and to develop an appropriate IEP. The District therefore informed Mother that it would be filing a request for due process hearing on the right to assess Student in the area of cognitive ability. 55. Otherwise, the District indicated it would start the assessment process and administer the tests for which Mother provided written consent. Ms. Monday enclosed a copy of parental rights and procedural safeguards. 5 Assessments started October 1, 2012. Within a week of that date, District filed this due process proceeding requesting an order allowing cognitive testing. 57. Ms. Hulsey wrote the triennial psychoeducational report, dated November 19, 2012. She noted that Student’s most recent Measures of Academic Performance (MAP) scores were low average for reading, high for math, and average for language. She provided historical scores for the CELDT, stating the results suggested limited growth in the area of English language development. 58. Ms. Hulsey noted in the report that District did not have consent to conduct the KABC–II. As a consequence, she stated the report would not be able to address Student’s skills in the area of fluid reasoning, crystallized knowledge, short-term memory, long-term retrieval, auditory processing (phonological) and processing speed. In Ms. Hulsey’s opinion the KABC–II was also a good assessment tool because of Student’s identified Chinese ethnicity, since the test was known to be sensitive to cultural and linguistic differences. She did not propose the KABC–II merely to obtain an IQ score. 59. The KABC-II provides two means for computing the global composite scores. The Fluid-Crystallized Index (FCI) is based upon the Cattell-Horn-Carroll (CHC) model. The CHC model is for children from a mainstream cultural and language background, emphasizing crystallized ability. The other is the Mental Processing Index (MPI), which is founded upon the Luria mode and is more neuropsychological. The Luria model is preferred for children who are from bilingual and non-mainstream cultural backgrounds, have language disorders, or are ASD. 60. Ms. Hulsey preferred using a cross battery approach, where she looks at cognition in terms of the CHC psychometric model. The CHC model looks at different areas of intelligence. One is fluid, more nonverbal, reasoning. The other is crystallized intelligence, which is more language based. CHC also looks at acquired knowledge, visual processing, auditory processing, and processing speed. 61. Typically, Ms. Hulsey would first administer the KABC–II; this however, does not assess phonological processing and processing speed. Therefore, she would consider supplementing with the Wechsler Intelligence Scale for Children, Fourth Addition (WISC–IV) for processing speed and the Comprehensive Test of Phonological Processing, Second Edition (CTOPP–2) for phonological processing. She would also use the KABC-II results to explore the suitability of additional instruments. In this way, Ms. Hulsey believed that she would have been able to utilize the assessments that address all the factor areas related to Student’s learning. 62. Ms. Hulsey would have administered the full battery of subtests, which would be the CHC model. She wanted to see how Student performed in the more language-based and less culturally sensitive knowledge section, which she would suspect would be more impacted. However, she would not include the FCI in the global composite scoring because Student is an English learner and has a language processing disorder. Ms. Hulsey would have scored the KABC-II using the Luria model MPI, which excludes verbal ability and is less culturally loaded. She believed that the Luria model would be more fair and accurate regarding Student’s ability. 63. Ms. Hulsey agreed with Ms. Langerman’s statement, made in the September 18, 2012 limited consent, that the WRAML–2 and VMI, along with the parentally requested TAPS–3, would provide additional information. However, in her opinion, this additional information could not replace the KABC–II. In Ms. Hulsey’s professional opinion, the information provided by the additional tests would not be sufficient to render the KABC–II cognitive test unnecessary because the various tests are looking at different processes. 64. The KABC–II tests fluid reasoning, crystallized intelligence, visual processing, short-term memory, and long-term retrieval. The TAPS–3 tests auditory processing memory, including short-term memory, such as sentence memory, word memory, and number memory. It also has a language component. The WRAML–2 specifically tests visual and verbal memory. The District only received consent to administer the social/emotional component of the WRAML–2. Without consent for the KABC–II, the remainder of the WRAML–2, or other instruments, Ms. Hulsey was unable to fully test Student’s processing. 65. If permitted to perform the KABC–II, Ms. Hulsey would use the results to look at Student’s strengths and weaknesses. When planning educational interventions and services, the IEP team seeks to capitalize and plan around the strengths, and support those areas of significant weakness. Though the cognitive testing was not necessary for determining autism eligibility, Ms. Hulsey testified that the additional KABC–II information would provide insight into the processes and nuances of Student’s learning which would enable the IEP team to better develop focused and effective related services, interventions and accommodations to meet his unique needs. 66. In her report, Ms. Hulsey reviewed the 2007 and 2010 KABC–II results, using the actual publisher’s score sheets that the two prior test administrators used in calculating the results. Ms. Hulsey recalculated the scores, applied the publisher’s protocols, and calculated the Lucia model for the general composite index. In so doing, she determined that some of the 2007 and 2010 results were not interpretable and should not have been reported or, if reported, should have been noted to be unreliable. 67. Generally, if the range of an index’s subtest scaled scores was unusually large, then the scale index should not be interpreted because the significant variability rendered the index invalid. Noninterpretable scales have so much variability that these scaled–score ranges occurred less than 10 percent of the time in the normative population. In reporting, one should indicate if a scale index is not interpretable. 68. In working with the 2007 scores, Ms. Hulsey determined that two of the scale indexes did not meet protocol standards for interpretation. The Sequential scale index included the scaled scores of two subtests, Number Recall and Word Order, which were five and 11 respectively, based on a mean of 10 and a standard deviation of three. These two subtest scores had significant variability and, pursuant to the instrument’s protocol guidelines, should not be interpreted. Similarly, the Simultaneous scale index should not have been interpreted because its three subtests of Face Recognition, Conceptual Thinking, and Triangles had scores of four, five, and 16, which were too variable. She also determined that the Nonverbal Index (NVI) of 87 had significant variance because its four subtest scores ranged from four to 16. 69. The 2007 assessor calculated the FCI composite index of 87, using the Sequential, Simultaneous, Learning and Knowledge scale index scores. Since this included two noninterpretable scores, Ms. Hulsey concluded the FCI was not interpretable. Ms. Hulsey used the 2007 test results to compute the MPI composite index at 96. However, she concluded the MPI was also not interpretable due to significant differences between index scores. In reporting these scores in 2007, the assessor did not caution they were not interpretable. Ms. Hulsey reported the 2007 KABC-II in her 2012 report, clearly identifying those scores that were not interpretable. 6 In her cross-examination of Ms. Hulsey, Ms. Langerman asked about the “Pygmalion effect,” to which Ms. Langerman referred in the parental Limited Consent. Student had identified a 2005 article from Disability Solutions, a publication resource for families and others interested in Down syndrome and developmental disabilities. The article, by a Dr. Cheryl Jorgenson, was entitled “The Least Dangerous Assumption.” Ms. Hulsey had reviewed the article, noting it dealt with intellectually disabled (ID) children and the assumptions educators make because of such designation. Student was not ID. Student chose not to have the documents entered as evidence when District withdrew a witness who was prepared to further testify in this regard. 71. During her testimony, Ms. Hulsey agreed that the KABC–II has three subtest scores which could be negatively affected by autism––Rover, Riddles, and Verbal Knowledge; these were the same as Student’s lowest 2010 subtest scores. In contrast, an autistic child is likely to score highest on the Triangles, Atlantis, Rebus, and Gestalt Closure subtests. The Student’s two highest 2010 subtest scores were on the Triangles and Gestalt Closure. This pattern of scores is consistent with an autistic child who is language challenged and/or is an English learner. 72. In her report, Ms. Hulsey then reviewed the results of the WRAML–2, which she administered. In looking at the composite scores, she noted that Student’s skills in the area of auditory/verbal memory were in the below average range compared to same age peers and was considered a normative weakness. For visual memory, she reported that Student had a significantly higher score on the Design Memory subtest (minimally related information), when compared to the Picture Memory subtest (meaningful information). For attention/concentration, Student was in the average range compared to same age peers. This was an area of relative strength for Student. In comparing the WRAML–2 from 2010 to 2012, Ms. Hulsey observed that the subtest scores were consistent with the exception of Story Memory, which had decreased significantly. 73. Ms. Hulsey then reported the results of the CBCL behavior scales and the SIB-R adaptive behavior scales, completed by Mother and Student’s teacher. A comparison of Mother’s SIB–R scales with those of 2010 indicated that Student’s Broad Independence Motor Skills, Social/Communication, Personal Living, and Community Living Skills had decreased significantly in all areas. The level of support indicated had increased from intermittent support in 2010 to limited support in 2012, indicating that Student required limited but consistent support and supervision. In reviewing the teacher’s SIB–R scales the Independent scores were consistent with those from 2010, as were Maladaptive Behavior Index scores. The Internalized Maladaptive Behaviors (inattentive and withdrawn behavior) continued to be the most significant and problematic for Student. 74. Ms. Hulsey administered and reported the results of the GARS–2, noting that the teacher’s report indicated the most significant behavior area was stereotyped behaviors and communication while the Parent report showed the most significant areas to be communication, followed by social interaction and stereotyped behaviors. For the GADS, the teacher report indicated the most significant was stereotyped behaviors and communication; Parent’s report indicated significant stereotyped behaviors and pragmatic skills. 75. Ms. Hulsey summarized her findings, mentioning as necessary the RSP’s academic evaluation, the SAL assessment, and the OT assessment. She reviewed the 2010 KABC–II results, including noting the portions that were not interpretable (similar to her testimony). She emphasized that the 2010 scores were not consistent with those obtained in 2007. She testified that this was another reason she wished to administer the KABC–II for the 2012 triennial assessment. 76. In summarizing the WRAML–2, Ms. Hulsey stated that Student demonstrated relative strength in rote memory tasks and symbolic working memory. However, all other subtest scores fell within the below to well below average range. She cautioned that the WRAML–2 carried a high degree of cultural and linguistic loading and that Student performed lower on subtests involving higher cultural and linguistic demand. While some patterns of strengths and weaknesses were associated with ASD, other weaknesses may be due to linguistic factors and culture. The results should be interpreted with caution. 77. In reviewing the GARS and the GADS, Ms. Hulsey reported on the scale scores. These demonstrated many behaviors consistent with ASD in the areas of stereotyped behavior and communication, as well as social interaction. Mother’s CBC scales for Withdrawn/Depressed, Social Problems, and Attention Problems reached the borderline clinical range. 78. The DAB-3 academic assessment results indicated overall reading achievement to be within the low average range. However, there were significant differences between two subset scores, indicating that the composite index did not represent a good estimate of overall reading. Spelling was above average and a normative strength, which elevated the overall written language composite score to below average. Achievement in math revealed the same split score pattern, with math reasoning within the average range and math calculation above average. Significant differences in the subtest math scores indicated that the composite score was not a good estimate of overall math achievement. 79. The WIAT–III revealed reading comprehension achievement to be below average. Decoding, word reading, and fluency were within the average range. Achievement in math was superior while math reasoning was average. Written expression was average overall. The results of the GORT–5 had achievement and oral reading within the below average range, with comprehension falling in the very poor range. The Grey Silent Reading Tests revealed achievement in silent reading comprehension to be well below average (below the first percentile). 80. Ms. Hulsey concluded that the assessment results indicated Student continued to meet the state eligibility criteria for autism. She also stated in her report that the absence of current cognitive assessment meant that the IEP team would have limited information to fully understand Student’s learning profile. Specifically, she stated the KABC–II would provide information on Student’s skills in the area of fluid reasoning, crystallized knowledge, short–term memory, long–term retrieval, auditory processing (phonological) and processing speed. She recommended that the cognitive assessments be completed in order to provide a full understanding of Student’s patterns of strength and weakness and to look at relevant cultural and linguistic characteristics in a systematic way, in order to develop an appropriate program designed to meet his unique needs. 81. In developing the triennial IEP, the team met on November 16, November 28, and December 17, 2012. The team agreed to placement, related services, interventions, and accommodations. The IEP notes for the last meeting stated that the District made the FAPE offer in the absence of requested cognitive testing and upon the information available to date. The triennial IEP is not summarized because the parties stipulated on the record that Student is receiving a FAPE and had been receiving a FAPE at all times relevant to the due process. Additionally, the IEP was developed more than two months after the District’s due process filing. 7 The Student’s NEPSY-II offer, and District’s prior written notice in response, postdate the District’s due process filing and are not issues in this due process. However, the exchange is representative of the parties‟ respective positions regarding alternative testing, about which the witnesses testified. 82. At the November 16, 2012 IEP meeting, Mother and Ms. Langerman requested that the District use the NEPSY-II to test Student’s cognitive ability instead of the KABC-II. On December 2, 2012, District program specialist Ms. Monday provided Mother with prior written notice that District was denying the request to use the NEPSY-II. 7 The District gave a detailed explanation as to why the NEPSY-II was not a proper cognitive test. 83. The prior written notice stated that the NEPSY–II was not considered an intelligence test but was used as a neuropsychological tool, designed to be used as a supplement to academic and intelligent assessments. The District said the NEPSY–II did not assess in all areas associated with cognitive ability such as visual memory, and higher level verbal and nonverbal reasoning. 84. Ms. Hulsey testified about the NEPSY–II, noting that it looked at visual memory, but did not examine full reasoning. She said she knew that Ms. Langerman did not like the KABC-II and subsequently became aware that Student was proposing the NEPSY-II as an alternative cognitive assessment. 85. Ms. Hulsey’s professional opinion was that the NEPSY-II was not an IQ test. It is a neurological test that looks at brain based behavior. The NEPSY–II addresses visual memory but does not examine full reasoning. It does not provide the same information as the KABC-II. The KABC-II looks at broader based abilities while the NEPSY-II is a good tool for drilling down into more narrow information processing abilities. For example, KABC-II examines fluid reasoning and processing speed, neither of which are represented on the NEPSY-II. Phonological awareness and phonological processing are underrepresented on the NEPSY-II. 86. Ms. Hulsey’s purpose in wanting to administer the KABC-II cognitive assessment was twofold. First, she wanted to compare and contrast with the prior results. Second, she wanted to better understand Student’s strengths and weaknesses that had been indicated by the prior test results’ internal inconsistencies. She believed that a current KABC-II profile would provide greater insight. For example, there was a significant difference between long-term retrieval, which was high in the 2007 assessment and below average in the 2010 testing. Long-term retrieval is a significance skill related to reading, sequencing, and recalling a story. When this scale changed from high average to low average, Ms. Hulsey wondered if the change was related to reading, or storing and retrieving information. She wanted to explore if it was a real issue for Student. 87. The KABC–II provides a learning profile, with weaknesses and strengths, which ties to intervention and support. Ms. Hulsey was deeply concerned regarding Student’s progress in reading. She wanted to determine if Student’s second language was impacting test performance. The KABC–II would assist in establishing validity by comparing and contrasting. Student had never taken the NEPSY-II and, consequently, there was no prior performance with which to compare. 88. Ms. Hulsey would never make recommendations for placement and services based solely on IQ scores. The score does not reflect Student’s overall functioning. It is a slice of time of how Student performed on the test and it, in and of itself, would not be a basis for determining placement. 89. Dr. Rienzi Haytasingh, a licensed educational psychologist, provided expert testimony for Student. Dr. Haytasingh received his bachelor’s degree in psychology and child development from California State University at Chico in 1999, and his master’s degree in school psychology from National University in 2001. He earned his doctorate in school and educational psychology from Alliant International University in 2005, and a post doctorate certificate in school neuropsychology from Texas Women’s University in 2006. He received his board certification in 2006 from the American Board of School Neuropsychology. 90. Before receiving his bachelor’s degree, Dr. Haytasingh worked as a psychiatric assistant at Tehama County Mental Health, and as a direct care counselor at a boys‟ home. Before he received his master’s degree, Dr. Haytasingh worked as a resident assistant at a youth treatment center, a therapeutic behavioral specialist, and case manager at Vista Hill Foundation. He also had teaching experience as a substitute teacher for the Jamul-Delsura Union School District and the Grossmont Union High School District. 91. After he received his master’s degree, he served as a school psychologist for the San Dieguito Union High School District from 2001 to 2004 and for the Chula Vista Elementary School District from 2004-2006, where the focus of his service centered on children with autism. From 2006 through the time of the hearing, Dr. Haytasingh was employed by Sweetwater Union High School District (Sweetwater), where he served as a school psychologist and site administrator for the special education department at Eastlake High School. He also served as Sweetwater’s autism psychologist, as well as its school neuropsychologist. In his capacity as a school psychologist for Sweetwater, Dr. Haytasingh developed programs for students with special needs, provided individual and group counseling, implemented IEPs, assessed students with suspected learning disabilities, and autism spectrum disorders, and implemented appropriate strategies for students suspected with neurological/neuropsychological conditions that impact learning. 92. In addition to serving Sweetwater, Dr. Haytasingh has taught psychology students as an assistant professor at Chapman University for five years, and currently served as an adjunct professor for Alliant International University in the graduate school of education, for National University in the school psychology graduate program, and for San Diego State University in the school of education, and in the school of psychology. He maintained a private practice since 2004, where he conducted school neuropsychological and psychoeducational assessments. He conducted IEEs for San Diego City Schools, Coronado School District, Pauma-Valley Center School District, Escondido Elementary School District, Poway Unified School District, San Dieguito Union High School District, and Del Mar Elementary School District. 93. Over that past 11 years, he assessed approximately 450 students, about 25 percent of which were autistic children. He attended over 2000 IEP meetings over the past seven years. He knew Ms. Langerman, having evaluated her son about four years before. He believed that Ms. Langerman had a very good knowledge of assessments because of her involvement with her own child and her profession. Dr. Haytasingh’s education, training, and experience qualified him to testify as an expert regarding assessment of children with ASD. 94. In determining the assessments to use for a triennial IEP, Dr. Haytasingh’s practice was to first look at the present levels of performance and determine how the student was performing. He would interview the teachers, talk to parents, consider racial and ethnic influences, and review all records that provided information about the child. Primarily, his assessment tools would be determined by students‟ suspected disabilities and needs, and whether they are meeting their education potential. Assessment plans are not a mere checklist, but should be developed for each child. 95. Dr. Haytasingh said that the law does not require standardized assessments for a triennial IEP. Students have a lot of data, such as grades, performance on state tests, and progress toward IEP goals, which can be used to evaluate whether a child is making progress. Often, by reviewing the records and the file, a Student’s continuing eligibility can be affirmed. 96. In preparing for his testimony, Dr. Haytasingh reviewed the following documents: 2007 Triennial Psychological Evaluation; 2010 Triennial Psychoeducational and Academic Reports; Student’s STAR testing; Student’s MAP scores/graph; meeting notices; January 2012 IEP; Evaluation Plan for 2012 Triennial IEP; District’s October 2012 prior written notice; e-mails concerning the triennial evaluation; the 2012 Triennial Psychoeducational Report, Academic Assessment, SAL evaluation, and OT evaluation; literature concerning IQ testing; and Essentials of KABC–II Assessment. Dr. Haytasingh interviewed the Student and Mother. He administered a few sections of the NEPSY-II and three sections of the WIAT-II, but without standardization, simply to see how Student worked. 97. From his review of the records, Dr. Haytasingh considered Student’s attendance a strength; Student came to school every day prepared to learn. The MAP and achievement testing demonstrated that Student could read and perform mathematical calculations. In reviewing the 2007 and 2010 cognitive testing, Student demonstrated strength in nonverbal reasoning. Dr. Haytasingh formed the opinion that Student was learning and had gained academically over the years. 8 Testing–of–limits is an informal, non-standardized procedure designed to provide additional information about an individual’s cognitive abilities and processing skills. However, use of the technique could invalidate standardized procedures and cause invalid assessment. 98. Dr. Haytasingh opined Student had a number of issues, such as language and attention deficits, which were secondary to autism. He decided to administer some tests, so he could observe how Student took in and manipulated language with standardized measures. This testing was primarily qualitative, so Dr. Haytasingh could have a better understanding of how Student learned. Student benefited when Dr. Haytasingh sat directly across from him, interacting by asking and answering questions. Student performed “nicely” on some of the standardized tests that addressed language processing and word retrieval. Student had difficulty with directions because he struggled with vocabulary and was confused by directionality. He expressed the opinion that Student had language differences, which appeared during the day as he took information in and expressed information out. Typically, a test taker would ask some questions when being given directions; Student did not. He pointedly pushed Student, using the tests dynamically with the “testing-of-limits” technique,8 to gain insight on how the Student processed information and performed. Dr. Haytasingh concluded that Student would underperform on some of the tests. 99. Dr. Haytasingh was familiar with the KABC–II, which is designed to get an IQ number. He opined the District did not have to administer the KABC–II to obtain and determine Student’s needs. He believed there was substantial information from Student’s records sufficient to inform District regarding Student’s needs. In his opinion, there were tests of cognitive ability that do not give IQ scores and Student did not require another IQ test to determine how to educate the student. Dr. Haytasingh believed Student was doing very well in school. 100. Dr. Haytasingh was trained on the KABC–II during his graduate program. He has taught his students how to use the KABC–II. He was familiar with the test’s theoretical construct. He looked at the computation sheets for Student’s 2007 and 2010 KABC–II test scores. He generally agreed with Ms. Hulsey’s determination that a number of the indexes and composites were noninterpretable because of unacceptable variances in the range of the subtest scores. He disagreed with Ms. Hulsey, though, regarding the interpretability of the 2010 MPI composite because it included the Simultaneous Index, which was deemed not interpretable. He criticized Ms. Hulsey’s lack of analysis of the two prior test results, which she reported in her 2012 report; however, he did not state how she would do such an analysis of results of tests that she did not administer and were three and six years old. 101. Dr. Haytasingh explained that the more times one administers a test, the better one becomes at administering and interpreting the test. The administrator becomes aware of the test’s nuances, better able to differentiate and apply to children. He has given the KABC-II only four or five times since the second edition, in 2004. Dr. Haytasingh agreed that the KABC–II was reported to be racially and culturally sensitive, appropriate for children with language disorders, and suitable for students with ASD. However, Dr. Haytasingh noted that the KABC-II does not test auditory processing, but sequential processing that is not an auditory processing measure. 102. Dr. Haytasingh observed there were a lot of variance from the 2007 and 2010 results. This was probably related to Student’s autism. In his opinion, if again given the KABC–II test, Student would probably produce the same non-interpretable scores. If there were new results, those could be due to various things, as simple as distraction. He believed that having Student take the test again would not be useful regarding Student’s information processing. 103. However, on cross-examination, Dr. Haytasingh acknowledged a third administration of the KABC-II might provide information that could resolve the prior test score discrepancies. He conceded that he obtained information regarding how Student learned from reviewing the 2007 and 2010 KABC-II test results. He also agreed that a Student’s IQ score and cognitive skills could change over time, due to neurodevelopment, maturation, or environmental reasons. Certain aspects of IQ scores generally become relatively more stable as a student ages. 104. If the KABC–II was not for the purpose of obtaining IQ score, but was for the purpose of obtaining qualitative assessment information, there were other tests the psychologist could use. There are both standardized tests and non-standardized measures that provide information regarding the brain’s ability to process information. For example, a test for attention and executive functioning would be the cognitive assessment system (CAS), a test for visual processing would be the Test of Visual-Perceptual Skills (TVPS-3), and a test for auditory processing would be the Test of Auditory Processing Skills (TAPS-3). 105. Dr. Haytasingh agreed with Mother and Ms. Langerman that the NEPSY would be an appropriate tool, which is a neuropsychological test based on the Luria model. He disagreed with the District’s contention that the NEPSY was not a cognitive test. However, he acknowledged the NEPSY did not have factor analysis to support the structure and did not produce indexes that would be used in composite scores. The NEPSY was not normed for factor analysis. 106. Dr. Haytasingh disagreed with the District’s assertion, in the December 2012 prior written notice, that the NEPSY did not measure visual memory, which Ms. Hulsey also recognized. He acknowledged the NEPSY does not measure comprehension of language and reasoning, but he believed that the language and academic testing of Student was sufficient. 107. Dr. Haytasingh opined there were three problems with administering the KABC–II again. First, Mother was not comfortable with the test. Second, it would not be that meaningful. Third, an IQ test could be potentially harmful. Dr. Haytasingh explained that most parents do not really understand the numbers that are produced by standardized IQ tests. He was concerned that such IQ tests cause pain, lack of motivation, and diminished expectations. He believed that the one number a parent remembered was the IQ test score. Dr. Haytasingh said that Student was not an “82 kid,” but asserted that was how he would be defined. He believed the NEPSY produced scores that would not be misused like the MPI score. 109. Dr. Haytasingh agreed that a Student’s ability could not be less than the Student’s standardized cognitive or achievement test score. In contrast, a Student’s ability could exceed a standardized test score. Therefore, a standardized test score was a baseline that specified the lowest level of a Student’s ability in the measurement area. 110. Because he believed IQ scores could be easily misused, he has encouraged the use of the NEPSY, which, in his opinion, offered a better opportunity for clinical observation than the KABC. Dr. Haytasingh acknowledged going to many school districts, trying to persuade them of the NEPSY’s benefits. He generally believed that IQ testing is not needed to develop a program that meets a learning disabled Student’s educational needs. He conceded that his training and certification as a school neuropsychologist influenced his preference for the NEPSY over the KABC. School neuropsychology is an emerging field, which is not credentialed in California. 111. Dr. Haytasingh felt the District did not appropriately evaluate Student’s auditory processing in 2007, 2010, or 2012. He saw a WRAML test, which had some auditory memory tests. The 2012 SAL assessment found deficits in expressive and receptive language, which was auditory and should have been further explored. He did not believe District adequately assessed Student for auditory processing disorder and should have used focused auditory processing measures, such as the CTOPS or TAPS. 112. If a parent objected to certain tests, Dr. Haytasingh’s practice was to have a conversation with the parent and discuss the various means that would enable him to evaluate the student. He referred to an early meeting with Ms. Langerman when she objected to the testing of her child. He therefore did not administer an IQ test to Ms. Langerman’s child but, instead, obtained the information by other means. He felt there was a way to accommodate Mother’s concerns regarding Student’s testing by finding the information in Student’s records or by using other instruments. He believed that the District should honor the Mother’s request that Student not have IQ testing. 113. Dr. Haytasingh explained he provides parents with a list of assessment tools when he requests consent to evaluate; the Sweetwater district required this. He knew other districts did not. He was unaware of any law or regulation that required specification of the assessment tools when seeking consent to evaluate. 10All subsequent references to the Code of Federal Regulations are to the 2006 version. 14. In Issue One, District contends that it has the right and legal obligation to assess Student in all areas of suspected disability as part of his triennial reassessment, it needs to cognitively assess Student to satisfy its legal obligation, it has complied with all procedural requirements for obtaining consent to assess Student, it therefore is entitled to chose the assessment instruments, and it has chosen to utilize the KABC-II for the cognitive portion of the assessment. District contends that the KABC-II is an appropriate standardized instrument. Student had twice before taken the KABC-II, and use of the KABC-II would provide information and insight regarding how Student learns, which is not sufficiently measured by other instruments. Accordingly, District seeks an order entitling it to administer the KABC-II to Student, without parental consent. 15. Student contends that the KABC-II is an IQ test, the District need not administer an IQ test for purposes of providing FAPE, another KABC-II testing of Student would likely result in uninterpretable and unreliable IQ scores, other instruments and records provide all the information needed to devise Student’s special education program, past IQ testing has harmed Student, and further IQ testing is likely to harm Student in the future. Further, Student asserts District is required to obtain informed consent for assessment and that having been fully informed of the District’s intended cognitive assessment instrument, Parent has properly exercised her right in declining consent to the KABC-II. Finally, should the District be permitted to administer the KABC-II, Student seeks an order that District cannot report the composite scores because of their likely unreliability, inaccuracy, and potential harm to Student. 16. Here, District has met its burden of proof that it needs to cognitively assess Student to satisfy its legal obligation and, having complied with all procedural requirements, is entitled to administer the KABC-II. The District presented persuasive and credible evidence that the KABC-II will provide information and insight into Student’s learning that other tests and sources would not provide. 17. Student contends that the KABC-II is an IQ test and is not necessary to provide a FAPE because the parties acknowledged that Student has received a FAPE, at all time relevant to this due process. This does not diminish District’s obligation to assess. A school district is required to ensure that the evaluation is sufficiently comprehensive to identify all of the child’s needs for special education and related services whether or not commonly linked to the disability category in which the child has been classified. (34 C.F.R. § 300.304(c)(6).) Therefore, the standard is not whether the assessment was necessary to fashion a FAPE but rather if the District determined it required the cognitive assessment to meets its legal obligation to identify all the child’s needs. 18. The District convincingly established it required the KABC-II to meet its legal obligation to assess. The District’s credentialed school psychologist, Ms. Hulsey, had more than 18 years of experience and had taken multiple trainings regarding evaluation of ASD students. She was qualified to give and interpret many different assessment instruments, including the KABC-II, which she had personally administered more than 200 times. When the KABC’s second edition was issued, she attended further specialized training with CASP. 19. Ms. Hulsey demonstrated a convincing grasp of the issues related to Student’s cognitive testing and the further information that she hoped to garner from administering the KABC-II. During pointed and sometimes confrontational cross-examination, she remained composed and focused. Ms. Hulsey’s credibility was enhanced when she reviewed the KABC-II 2007 and 2010 test results, finding that many scores should not have been reported or should have been flagged as not interpretable. When questioned on the prior test scores, Ms. Hulsey demonstrated in-depth knowledge of the test’s protocols and reporting standards. Her testimony on cognitive assessment and the KABC-II instrument was persuasive. 20. Ms. Hulsey satisfactorily explained the dual theoretical models upon which the KABC-II is designed – the CHC model and the Luria model. She explained the CHC model supports the FCI composite, which emphasizes crystallized intelligence, acquired knowledge, visual processing, auditory processing, and processing speed. Ms. Hulsey detailed how she would administer the KABC-II, what subtests she would employ, the scale indexes she would compute, what information they would provide, and the composite score she would calculate and report. 21. She would have used a cross-battery approach and administered all the subtests, as the CHC model requires. She wanted to see how Student performed in the more language-based and less culturally sensitive knowledge section, which she expected would be impacted. However, she would not have used the FCI composite scoring because Student was an English learner and had a language processing difficulty. Ms. Hulsey would have scored the assessment using the Luria model MPI, which excluded verbal ability and was less culturally loaded, thus fair and accurate regarding Student’s ability. 22. Another reason to use the KABC-II test was to compare Ms. Hulsey’s test results with those of 2007 and 2010. Though some of earlier scale indexes and composite scores were not interpretable, the scores revealed certain inconsistencies. Ms. Hulsey’s professional opinion was the KABC-II testing could provide the information that would explain the inconsistency. Additionally, the results might differ because Student is older and intelligence test results can change as a child matures. 23. Student contends that administering the KABC-II, for the third time, would not provide any useful information, which is not otherwise available from Student’s records or other instruments. Ms. Langerman’s opinion that Ms. Hulsey could obtain the same information by other means and not produce an IQ score was not pursuasive. Three factors diminish Ms. Langerman’s persuasiveness in this regard. First, though Ms. Langerman’s keen intelligence enabled her to acquire a formidable amount of knowledge regarding standardized testing, she was not a trained, experienced, and credentialed professional in this area. Therefore, she was not a qualified expert, but a formidable, well-armed advocate. 24. Second, Ms. Langerman readily admitted that she strategically did not want Student to have another intelligence test because she believed the IQ score would negatively influence the IEP team’s willingness to place Student in the PAL class when he transitioned to sixth grade. This strategy is based upon her contention, which was not demonstrated to be true at hearing, that District refused to place Student in the PAL class at the Spring 2011 IEP for third grade because of Student’s 2010 below average IQ score. Therefore, in her mind, the IQ score harmed Student by unfairly denying him a more suitable placement. 25. Her conclusion in this regard is suspect, especially considering the following annual IEP of January 2012, at which Ms. Langerman again advocated that Student be placed in the PAL class for fourth grade. The IEP documents record that the District fully discussed the PAL class, including having a PAL program specialist observe Student in class and attend the final IEP team meeting. Ms. Langerman opined that her observation of Student’s participation in higher-level comprehension questions-and-answer exercises confirmed her view that Student could understand and comprehend. However, the principal and the PAL program specialist disagreed. They both observed Student in his general education class and concluded that Student was not functioning at grade level and required maximum prompting by an adult to engage, participate, and complete tasks. In addition, Student’s classroom teacher reported Student was functioning below grade level. The PAL program specialist explained that the PAL class components and instructional method of small groups, performing at grade level, rendered PAL inappropriate for Student. The IEP made no mention of Student’s 2010 IQ score being a factor in the decision. Instead, the totality of the evidence showed that District denied PAL placement because Student was not learning at grade level. 26. Thirdly, Ms. Langerman’s testimony about the KABC-II’s utility for Student was greatly influenced by her admittedly fundamental belief that intelligence testing of autistic children was unreliable and harmful. Though she could list off a number of tests and sources from which District could or should obtain the Student information it believed the KABC-II provided, her general view was that the KABC-II should not be administered to ASD children. Accordingly, when working as an advocate, she almost never permitted her parent clients with ASD children to consent to intelligence testing. She admitted to having made three exceptions to her general practice. However, those exceptions were for the purpose of meeting the strategic goals of getting two students accepted into GATE or having another student SLD eligible. Overall, Ms. Langerman’s credibility and persuasiveness were diminished by her practice of either allowing, or not allowing, cognitive testing using the KABC-II depending on whether it suited her strategic purpose in obtaining her client’s preferred placements. 27. Student’s expert, Dr. Haytasingh, was qualified and demonstrated a caring and thoughtful approach to his role as an educational psychologist. He ultimately expressed the opinion that further KABC-II testing of Student would merely duplicate the noninterpretable scores, that other instruments and sources provided District with substantially the same information, and that the use of the IQ testing would be harmful to Student. Dr. Haytasingh would do everything he could to accommodate a parent’s concern regarding testing, including using other instruments with which the parent agreed. However, he admitted he was unaware if or what the law required in this regard. 28. Dr. Haytasingh reviewed the 2007 and 2010 KABC-II scores, as well as Ms. Hulsey’s report of the scores in her 2012 psychoeducational report. He disagreed with Ms. Hulsey regarding the interpretability of the 2010 MPI composite because it included the Simultaneous Index, which was deemed not interpretable. He criticized Ms. Hulsey’s lack of analysis of the two prior test results, which she reported in her 2012 report. In his opinion, if again given the KABC–II test, Student would probably produce the same noninterpretable scores. He contended that having Student take the test again would not be useful. However, Dr. Haytasingh’s lack of experience with, and general disinclination for use of the KABC-II, renders his criticisms unpersuasive. 29. Dr. Haytasingh felt the more times one administered a test, the better one became at administering and interpreting the test. He had administered the KABC-II only four or five times since its 2004 second edition. In contrast, Ms. Hulsey had administered the test hundreds of times and taken supplemental training following the new edition. Overall, his testimony about the KABC-II did not reflect the same experience and insight as Ms. Hulsey. 30. Dr. Haytasingh felt that other tests, such as the NEPSY, would be a more appropriate tool for cognitive testing, and listed a number of alternative instruments. He agreed that the NEPSY did not measure comprehension of language and reasoning, but maintained that the language and academic testing of Student was sufficient to provide the information. He also acknowledged that the NEPSY did not have factor analysis to support the structure and did not produce indexes for composite scores. The NEPSY was not normed for factor analysis. However, he contended that the NEPSY was a cognitive test. 31. Dr. Haytasingh felt that the NEPSY had many cognitive measures that would provide useful information about how Student processed information. Ms. Hulsey, though, convincingly testified that the NEPSY is a neurological test that looks at brain based behavior; it is not an IQ test. The KABC-II looks at broader based abilities while the NEPSY is a good tool for drilling down into more narrow information processing abilities. For example, KABC-II examines fluid reasoning and processing speed, neither of which are represented on the NEPSY. Phonological awareness and phonological processing are underrepresented on the NEPSY, being comprised of one subtest. In doing so, Ms. Hulsey acknowledged that she is not trained to administer the NEPSY. 32. Dr. Haytasingh acknowledged that giving Student the KABC-II a third time might provide information that could resolve the prior test score discrepancies. He conceded that he himself garnered information about how the Student learned from reviewing the 2007 and 2010 KABC-II test results. He agreed that a Student’s IQ score and cognitive skills could change over time, due to neurodevelopment, maturation, and environmental reasons. He also agreed certain aspects of IQ scores generally become relatively more stable as a student ages. However, in Ms. Hulsey’s opinion an alternative instrument would not provide the opportunity to compare and analyze the past results. Therefore, the KABC-II can provide information that could not be obtained by other instruments and sources. 33. Dr. Haytasingh demonstrated a strong preference for the NEPSY not just in his testimony, but also in his professional conduct. He stated that he has long been attempting to persuade school districts to use the NEPSY instead of the KABC-II. He believed that the IQ testing causes pain, lack of motivations, and diminished expectations. He cited research and personal experience that IQ scores negatively affect teachers‟ expectations, which consequently diminish a Student’s performance. He also expressed concern of how the IQ score would affect the Student who, as he grows older, may attend his own IEP meetings. Having reviewed all of Student’s records, he concluded, that Student had above average academic skills, so his IQ could not be below average, as indicated by his 2010 composite score of 82. Dr. Haytasingh’s view that Student had above average academic skills was not supported by the evidence, which showed that the 2012 academic achievement testing indicated that Student was below average and below grade level, except in math. Dr. Haytasingh also conceded that being a school neuropsychologist may have influenced his preference for the NEPSY-II. 34. Dr. Haytasingh acknowledged that, since a Student’s ability could not be less than the standardized cognitive or achievement test score, the standardized test score was a baseline that specified the lowest level of Student’s ability. In other words, a Student’s cognitive ability could not be less than, but could only exceed, the standardized IQ score. Therefore, Dr. Haytasingh’s criticism of the composite score as a harmful label is more indicative of the score’s theoretical or possible misuse than its actual usefulness. 35. Student produced no persuasive evidence that the District had, in anyway, misused or abused Student’s composite index intelligence scores. Other than the IEP team members, there was no evidence that Student’s teachers, past or present, knew Student’s intelligence scores. The educational and psychological professionals are duty bound to present cognitive test results and composite scores in a manner that properly interprets their meaning and usefulness. That being said, a cognitive test’s value is not undermined because the potential of someone, at sometime, may make a conscious or unconscious improper assumption. 36. The evidence established that the District met all procedural requirements. The District did not agree that a triennial assessment was unnecessary and, therefore, timely prepared an assessment plan. Ms. Hulsey reviewed Student’s records to determine the areas to be assessed, which would be sufficiently comprehensive to identify all of Student’s special education needs and related services. 38. Student requests that the ALJ order the District not to report the composite scores, if it is allowed to administer the KABC-II, because of the scores‟ unreliability, inaccuracy, and potential harm to Student. However, as discussed above, the Student did not present evidence that established KABC-II composite scores are unreliable or inaccurate. Also, no persuasive evidence indicated that the composite scores caused Student harm, even though some of the 2007 and 2010 reported scaled and composite indexes were not interpretable. Finally, the potential misunderstanding of the composite scores, with concomitant inappropriate expectations, does not mean that the scores should be suppressed. Finally, as noted in Legal Conclusion 9, a district is required to use composite scores if required in the instructions. The KABC-II allows the administrator to chose between the FCI and MPI composite scale index, but the instructions otherwise call for the indexes to be computed and interpreted in accordance with the protocols. 11 To the extent Student argues in his closing brief that District’s prior written notice letter declining an auditory processing assessment was inadequate, or that District did not assess Student in the manner indicated in the prior written notice letter, these contentions were not raised as issues for hearing in Student’s complaint and will not be considered. (See Ed. Code, § 56502, subd. (i) [“the party requesting the due process hearing shall not be allowed to raise issues at the due process hearing that were not raised in the notice filed under this section, unless the other party agrees otherwise”].) These issues are also procedural and would have been subject to the same legal standards (Legal Conclusions 13 and 14) and analysis regarding whether they amounted to a denial of FAPE. 41. District contends that Student did not need to have auditory processing further assessed, the triennial assessment instruments adequately assessed Student for APD, and the KABC-II would have provided additional assessment of Student’s processing. Further, District contends that failure to assess is a procedural violation, which Student must prove denied him a FAPE. 42. As discussed in Legal Conclusions 13 and14, above, to prevail on a claim that Student was denied a FAPE because District did not conduct an auditory processing assessment as part of the 2012 triennial assessment plan, Student must demonstrate that the failure to conduct the assessment: impeded the child’s right to a FAPE, significantly impeded the parents’ opportunity to participate in the decision-making process regarding the provision of a FAPE, or caused a deprivation of educational benefits. 43. Student cannot prevail on Issue Two because Student did not present any evidence that he was ultimately denied a FAPE. In fact, Student asserted and stipulated at hearing that Student was receiving a FAPE as a result of the triennial IEP and was receiving a FAPE at the time of hearing. Since Student did not present evidence or argue that he was denied a FAPE, there can be no finding that Student was denied a FAPE. 44. Further, to the extent a procedural violation can be shown on the basis that it significantly impeded Parent’s opportunity to participate in the decision-making process regarding the provision of a FAPE, the evidence demonstrated that Mother and Ms. Langerman participated and provided input in all aspects of Student’s assessment process and IEP team meetings and that District considered and responded to Parent’s concerns. Student presented no evidence that Mother or Ms. Langerman were impeded in any way from fully participating in developing Student’s IEP’s. Testimonial and documentary evidence substantiate that District provided Mother and Ms. Langerman unfettered opportunity to participate in IEP team meetings. Though District did not always agree with Ms. Langerman and Mother, District did not impede their ability to fully partake in the decision-making process. Coupled with Student’s stipulation that Student ultimately received a FAPE, the ALJ simply cannot conclude that Parent’s right to participate was significantly impeded. Similarly, Student’s stipulation at hearing that he ultimately received a FAPE establishes conclusively that Student was neither deprived of educational benefit or had his right to FAPE impeded. 1. District is entitled to cognitively assess Student, using the KABC-II. 2. Within 60 days of the date of this Order, District shall have completed the assessment, which may be performed during the school day outside of Parent’s presence, and shall schedule an IEP team meeting to discuss the results. 3. All of Student’s requests for relief are denied. Education Code section 56507, subdivision (d), requires that this Decision indicate the extent to which each party prevailed on each issue heard and decided in this due process matter. District prevailed on Issues One and Two. Student did not prevail on any issue.